Nickelodeon is encouraging kids to embrace healthy lifestyles with its annual Worldwide Day of Play on September 17. As part of the net’s ongoing health and wellness initiative, Nickelodeon and its sister channels and their corresponding websites will go dark from 12 p.m. to 3 p.m. (all times ET/PT) to encourage kids to get outside and play. On September 17, kids from all over the country are expected to participate in more than 5,000 scheduled events hosted by Nickelodeon’s national partners, including Afterschool Alliance, Association of Children’s Museums, Boys & Girls Clubs of America, Girl Scouts of the USA, Kiwanis, National Environmental Education Foundation, Police Athletic League, President’s Council on Fitness, The Salvation Army and US Play Coalition. Worldwide Day of Play, now in its 13th year, will once again be marked with a signature New York event on September 17, in partnership with Big Brothers Big Sisters of New York City. This slime-filled and fitness-packed celebration will feature Nick-themed games, including a Super Slime obstacle course, Nick bowling, a slime booth, costume characters, appearances by the stars of Nickelodeon’s Legendary Dudas and more. The network will be joined by its longstanding partners including Art of Stepping, Canine Companions for Independence, Major League Baseball’s PLAY BALL and World Baseball Classic, NBA Fit, New York Road Runners (NYRR), NFL PLAY 60, Playworks, Special Olympics, Street Soccer USA and USA BMX. At Noon on September 17, Nickelodeon will suspend programming and a message encouraging viewers to go outside and play will appear on a loop. 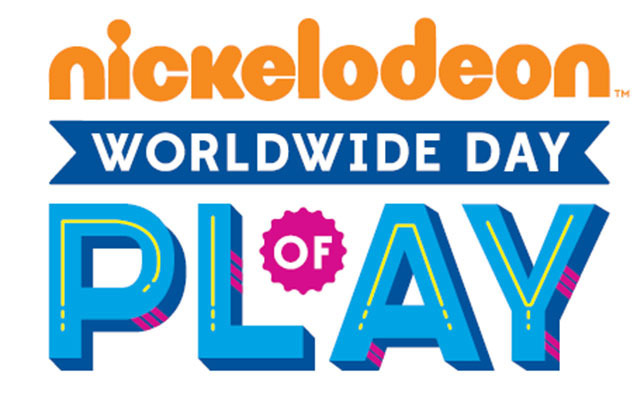 Nick’s platforms will resume programming at 3 p.m., with additional WORLDWIDE DAY OF PLAY 2016 campaign messaging encouraging healthy living playing throughout the day.